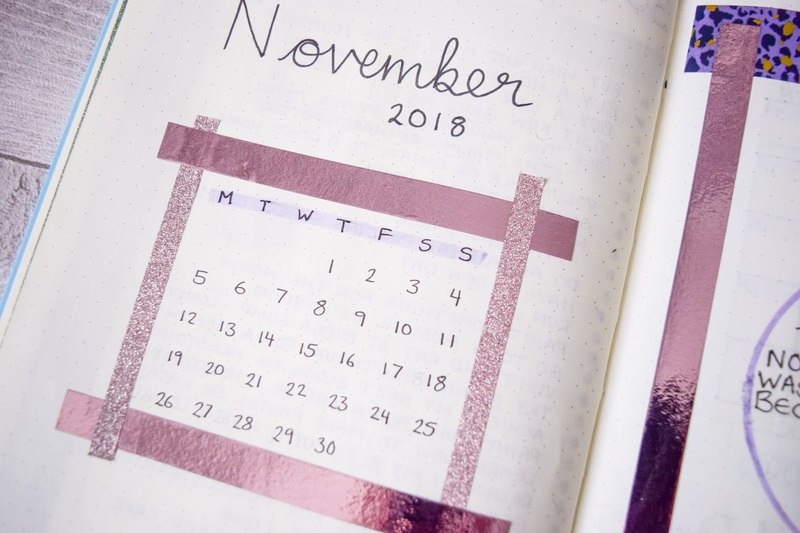 This month, November has been set out in a brand new bullet journal! Just a few days ago I bought and set up my second bullet journal and I have been so excited to start planning in it. 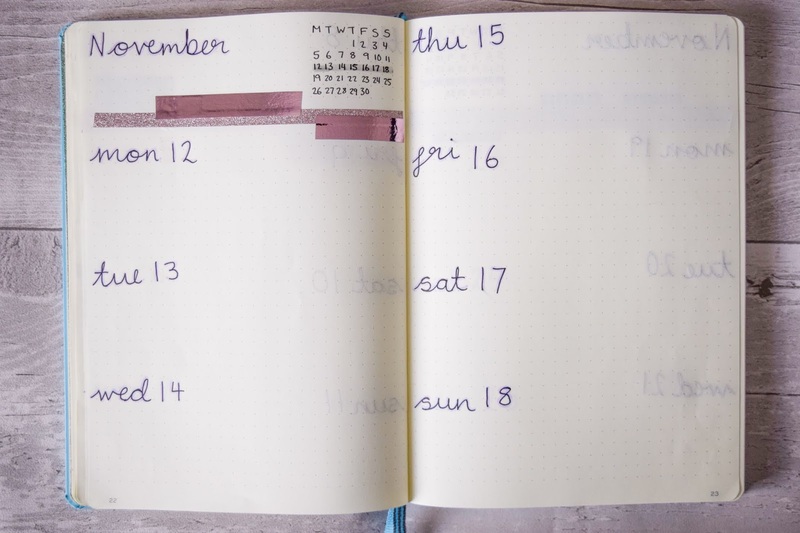 Though I have found some things I liked and continued over the last few months in my last journal, I decided to switch things around a little bit and look carefully at the usefulness of my pages. I found out that some pages didn't serve enough of a purpose and so I've decided to stop making them and I also included some pages to encourage me to make more use of my journal. 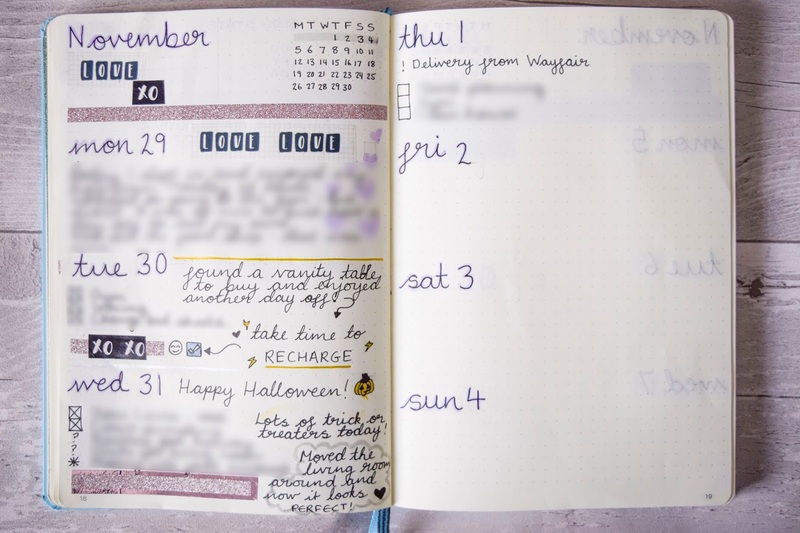 I'm really pleased with how November's turned out and I already feel like my pages are more engaging than before. One thing that hasn't changed is my month's welcome page. I love having a welcome page and this month I decided to keep things very simple. I didn't have a theme in mind but I had 48 new washi tapes to explore and so set up a colour scheme instead. 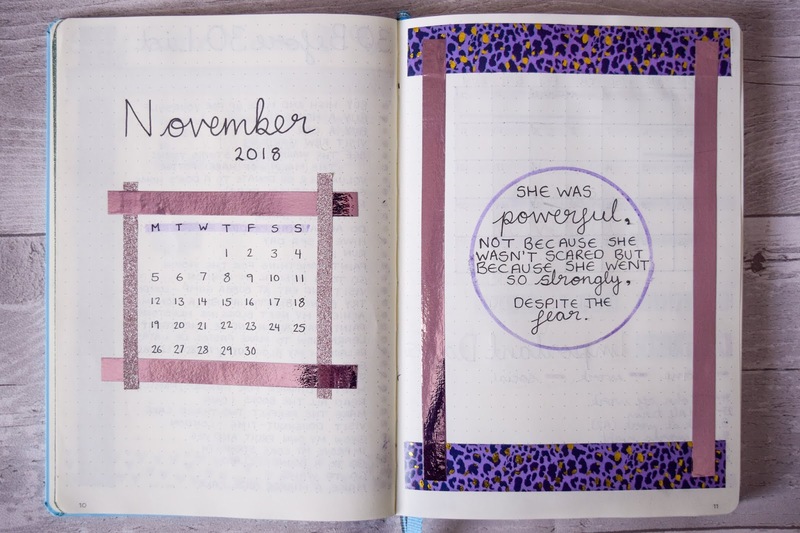 This month my bullet journal is a pink-purple theme with glitter, leopard print and some graphics for a little balance. I really like it. My month overview is probably my most used page and especially since I switched to this layout. 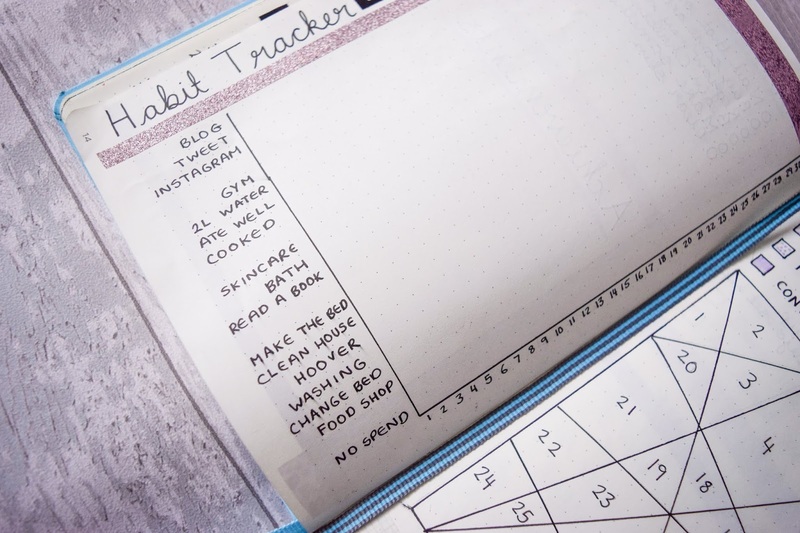 It works so well for me and I love having a key to help me keep track of things. 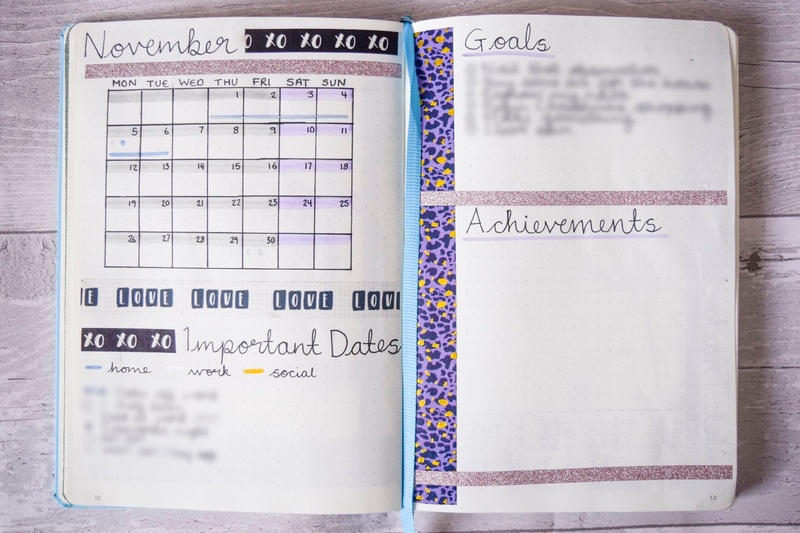 I decided that the other page should be both a place for goals and achievements and so, I have split the page so that I have room for both my goals and achievements of November. You may have noticed I have no steps and sleep tracker and that's because it relied on me having my Fitbit on as often as possible. I felt like it became an unhealthy habit and I wasn't wearing any of my other beautiful watches to ensure I was tracking both sleep and steps and so I have decided to stop tracking them both. I also wasn't using it to track any sleep or steps behaviours effectively and so it didn't serve a good enough purpose. I prefer it this way already and I don't have the stress of having to wear my fitbit every hour of every day. 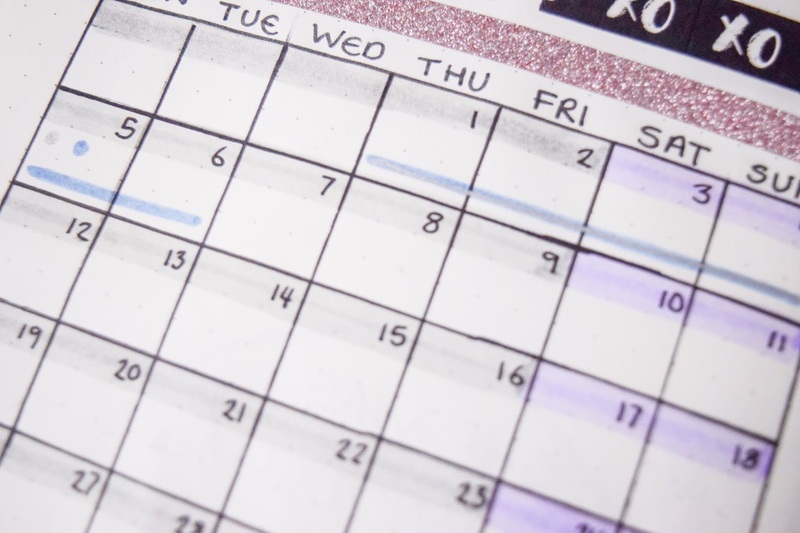 This month I have added a blog planner. 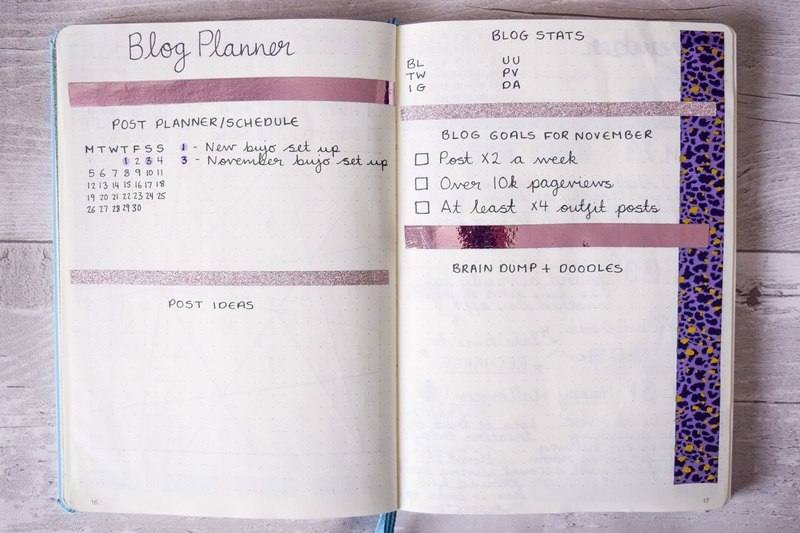 Now, I've been a pretty naff blogger for the last year or so and one of my goals is to find my blogging mojo again. Christmas is around the corner and I'm already extremely excited about it. I also love blogging around Christmas and successfully completed Blogmas last year. This year I want to do it again! 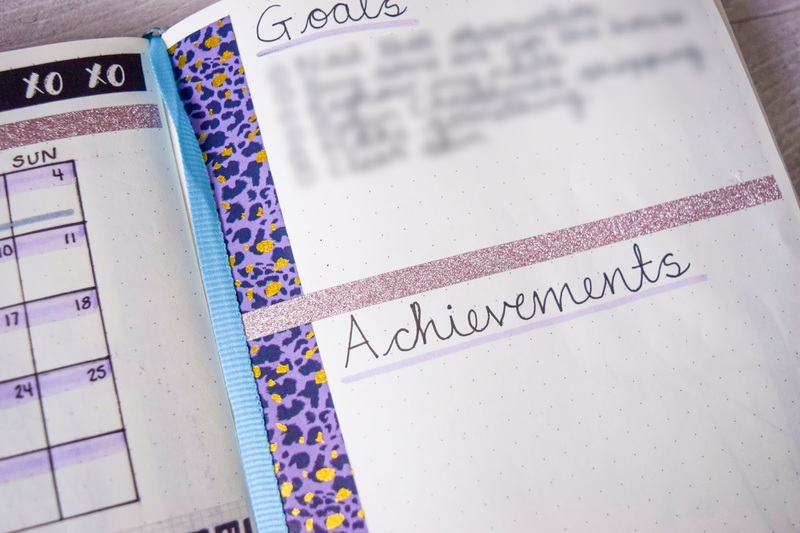 I'm so excited and so I wanted to incorporate a double spread blog planner to ensure I'm jotting down my ideas, scheduling and planning posts, giving myself monthly goals and anything else. I do have a stats section I'll fill out at the end of the month which will be cross referenced with my blog stats tracker I have elsewhere in my journal. You'll see that soon in a post all about how I set up the beginning of my journal. Last but not least I have my weekly overviews. 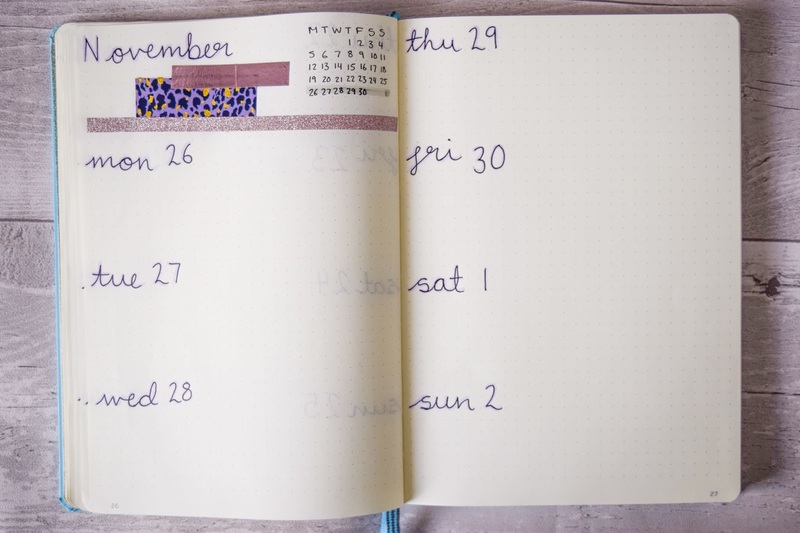 This month I had 5 weeks to write out and I ditched my beloved rectangular box grids for the classic look. The reason I reverted to this is because I want to write in it more like a journal. 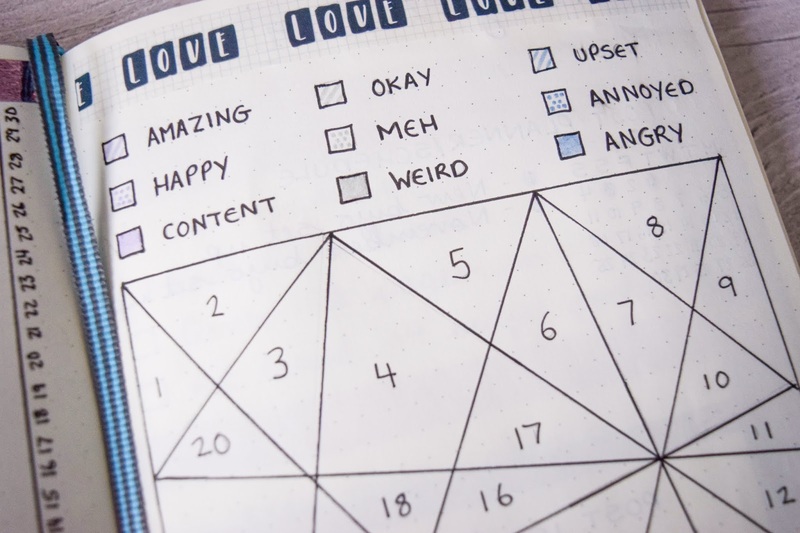 Write the events of the day at the end, doodle, plan my days ahead and use it as a planner/journal properly. 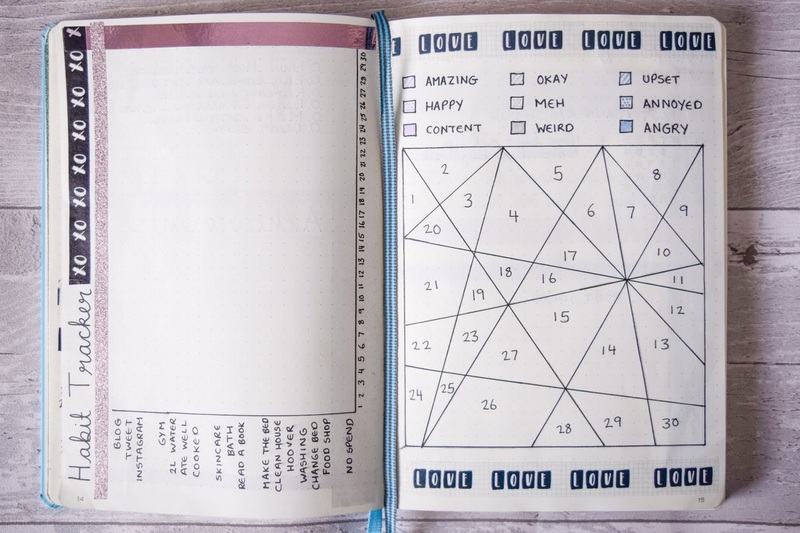 I've been totally inspired by the bullet journallers of Pinterest and YouTube and I'm hoping to have something similar at the end of it all. If I like it and it works for me, it's something I'll be sure to continue. 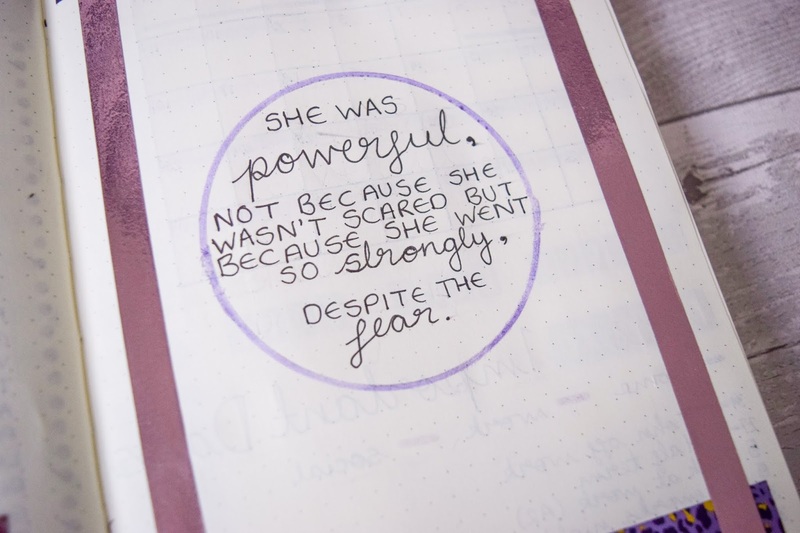 She was powerful, not because she wasn't scared but because she went so strongly, despite the fear. With the start of a new journal, I decided to restart my bullet journal instagram page. I deleted all my old posts and have just posted a picture of my new bullet journal. My instagram is: cat.ligraphy and you're more than welcome to follow me there! I'd love it if you did, especially if you enjoy my bullet journalling posts. It's something I didn't think I'd get so into but I'm so glad I have. It's been a while since I had a creative outlet and it makes me so happy that I've had one consistently for over a year now.